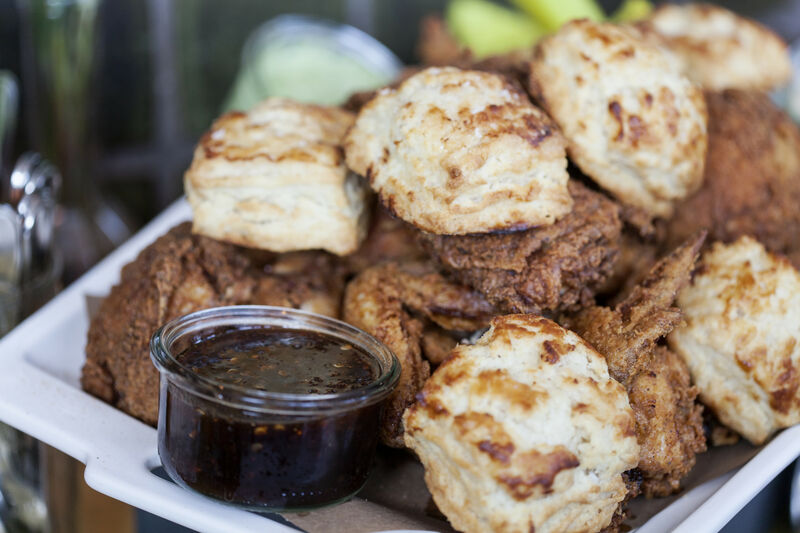 The fried chicken at La Lucha will have you loosening that belt in no time. 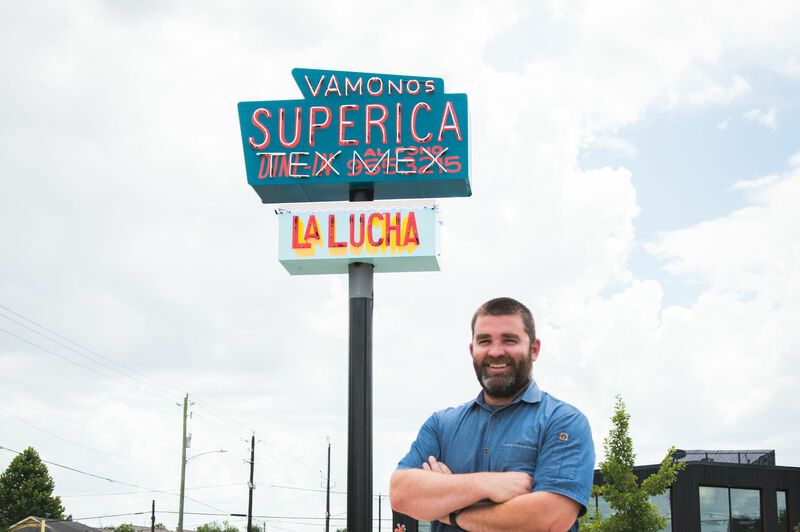 In the buildup to the opening of La Lucha, the new Ford Fry (State of Grace, Superica) concept helmed by Bobby Matos (also State of Grace), we heard quite a bit about Fry’s childhood vacations spent dining at the San Jacinto Inn, where Gulf seafood and fried chicken reigned. 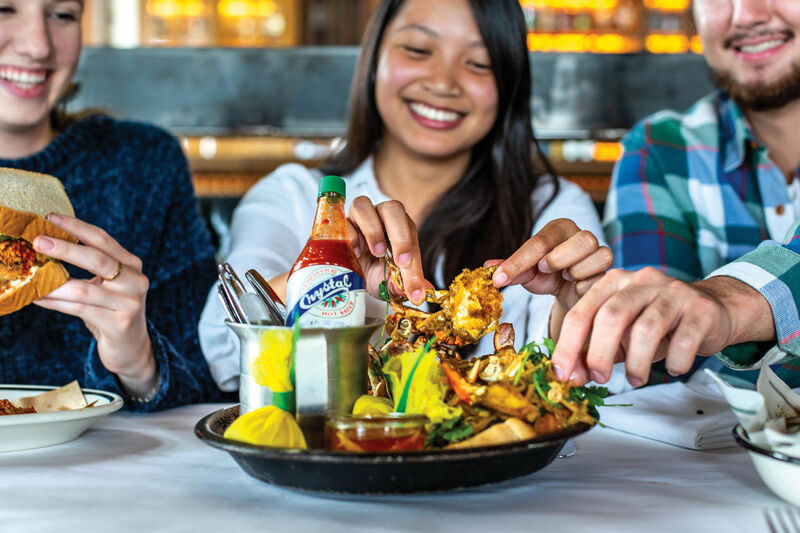 Nostalgia and hominess is certainly a hook for La Lucha—heck, the caviar and onion dip comes with actual Pringles—but the dishes of Fry’s youth resurface in superb ways. Take, for instance, the fried chicken. We’re not saying anything new here. But the fried chicken at La Lucha, presented as the Pollo Especiale—with biscuits, pickles, and a variety of sauces (apple butter, green harissa, honey sambal, oyster mayonnaise)—is the ultimate laid-back Sunday family meal, just presented in buzzy and dimly lit digs reflective of the finest new American neighborhood haunts you’ll find in this country. The chicken is crispy, lightly salty, and full of juice. Eat it without the sauces for a few bites (we recommend starting with a drumstick and working your way through the bigger pieces), then start mixing and matching. Honey with a little oyster mayo is a trip. 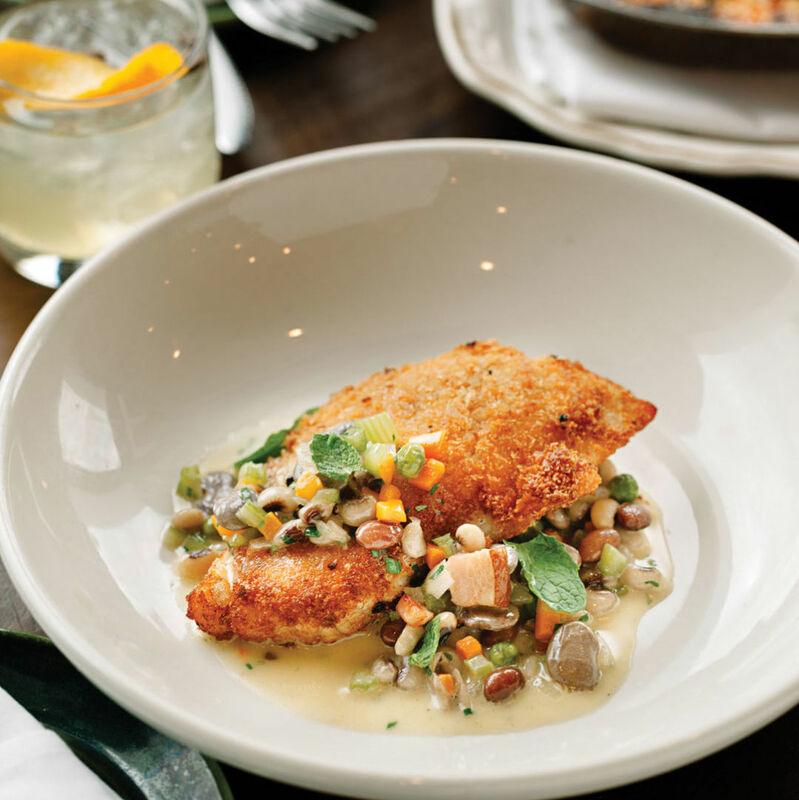 If you have any more room (seems impossible), make a beeline for the fried oyster loaf. This achingly simple dish is all about execution. 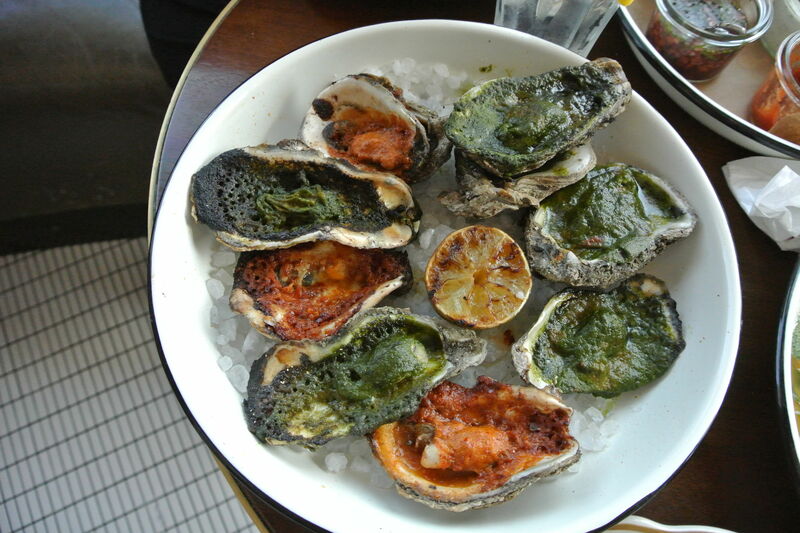 Oysters are breaded and fried, bread is given a generous slathering of mayonnaise, and the bivalves are slipped between the slices. In some cases a tomato finds its way in the sandwich, but not here: It’s just oysters, bread, and Mrs. Baird’s mayo. A crisp dill pickle comes with the sandwich. It’s crispy, salty, and rich, and might be swallowed within minutes. But that depends on just how much chicken you've invited over.